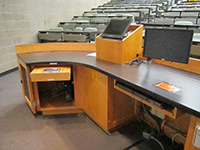 Overview: Engineering IT provides lecture or event recording in many rooms across the college. This includes assisting in the design of rooms to enable them for recording, support of the equipment within recording-enabled rooms, and storage/hosting of the recordings for later viewing. 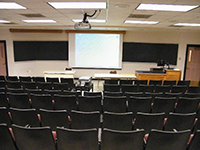 Automated and/or staffed lecture/event capture is limited to rooms within the college of Engineering with appropriate hardware/software installed. New room installation of presentation-capture equipment is limited to rooms appropriate to the equipment. Design and Implementation of new Presentation Capture rooms: Engineering IT will assist with the coordination between supported units, Technology Services Classroom & Conference Media Engineering (CCME), and any involved vendors for the installation and configuration of any hardware required for presentation capture—including, but not limited to, cameras, microphone and audio systems, and projectors and/or document cameras. Engineering IT will also assist with the purchase and configuration of a presentation-capture appliance and related licenses. Assistance with the installation and configuration of presentation-capture software solutions is also available. Scheduling Recordings: Course lecture recordings for an entire semester can be scheduled in advance. One-time recordings can (and should) be scheduled in advance of the event. 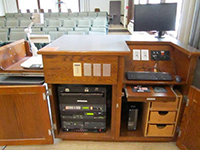 System Support: Engineering IT will offer technical assistance for supported units to help troubleshoot problems with the presentation-capture systems. Media Storage and Hosting: Engineering IT will provide storage and online hosting for media files associated with presentation capture, allowing for viewing via the web. Lecture Capture Operator Staffing: Engineering IT can also provide staffing for recordings that require camera steering and/or audio monitoring where applicable. PersonalCapture: Engineering IT can provide basic instructions and Echo360 PersonalCapture software for recording audio, webcam and screen captures on a client’s desktop/laptop. 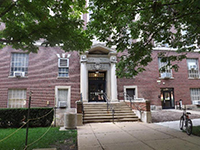 Departments and units, research groups, or individual faculty in the College of Engineering. Presentations/Lectures may be scheduled for capture at any time, but staff may be unavailable to assist. Requests will receive a response within one business day, Monday through Friday, 8:30am to 5pm, excluding University Holidays. Design and Implementation: Consultation for equipping a presentation-capture space is free. Once a plan is developed and approved, units will be responsible for the cost of labor and equipment for equipping a presentation-capture space. Capture Operator Staffing: In cases where an operator is recommended for camera direction and/or audio monitoring, there will be an additional cost for staffing a particular recording. Scheduled or automated presentation capture is offered only in spaces equipped for it. Lecture capture requires the approval of the instructor or Department. Engineering IT currently supports the Echo360 presentation-capture hardware/software system. Support for other existing or proposed presentation-capture solutions will be evaluated on a case-by-case basis, depending on the hardware and software requirements. The current capture system (Echo360) is not designed with extensive post-production editing capabilities. Engineering IT reserves the right to refuse support for any equipment purchased or installed without our consultation and agreement. Troubleshooting of existing installations will be limited to the capabilities for which those installations were designed. Design and implementation in new rooms is limited to appropriate rooms within the College of Engineering campus. The requestor is responsible for obtaining permission from event speakers for recording and distribution of the recording. Storage and Hosting: Recorded media files are stored, archived, and deleted according to a Media Storage Policy. See the General Inquiries section below for questions regarding this policy. Recording Scheduling: Engineering IT may not be able to accommodate recording requests with less than one full business days’ notice. Capture Operator Staffing: Is subject to the availability of student workers. A minimum of two business days’ notice is required. (Longer notice increases the chance of a student being available.) Only available within spaces equipped for scheduled capture. Manual Option: The manual Echo360 PersonalCapture software is better suited for recording shorter micro-lectures as opposed to full-length lectures. It is recommended that any class requiring regular recording be scheduled in a room equipped with an Echo360 capture appliance. Kaltura Media Hosting supported by Technology Services.